Well the lady did it… Taya Kyle (Chris Kyle’s widow), triumphed over Bruce Piatt, reigning NRA World Shooting Champion (see below). Using Tracking Point “Intelligent” firearms, Taya won the much-publicized American Sniper Shootout, hitting every one of the 29 targets (Piatt hit only 58% of his targets). 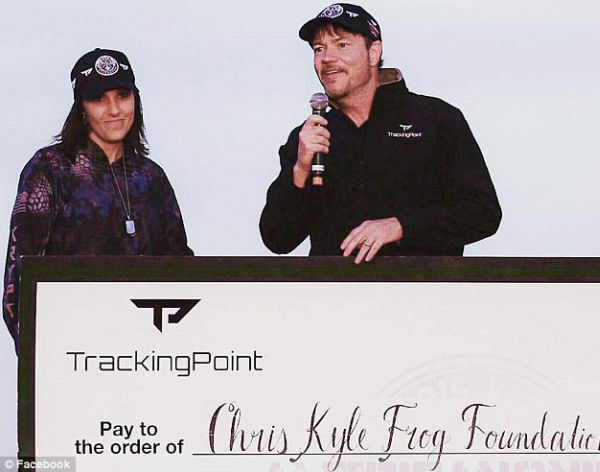 In the process, Taya earned $500,000 for the Chris Kyle Frog Foundation. Here’s a Fox News Video covering the event, which was held Saturday, December 5, 2015 in Mason, Texas. This unique competition pitted a novice shooter armed with Tracking Point’s rifle systems against a World Champion-level shooter in a head-to-head competition. There were 29 targets total, with a variety of shooting scenarios and distances. 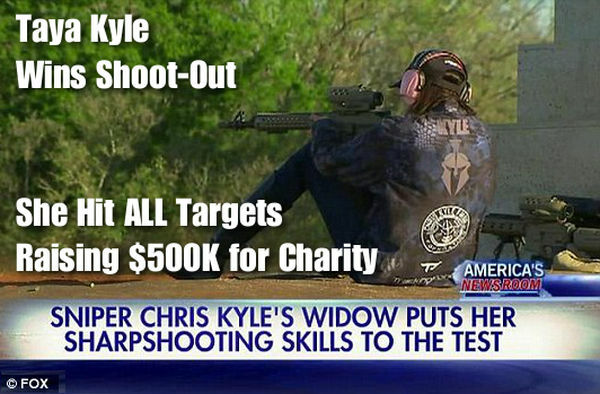 Taya Kyle Earned $500,000 for the Chris Kyle Frog Foundation. To the surprise of many in attendance, Taya Kyle, the widow of Navy SEAL Chris Kyle, soundly beat the reigning WSC champion. She hit every one of her targets, while Bruce missed more than 40%. Taya used Tracking Point’s precision-guided M600 and M800 firearms, while Bruce competed with M4A1, M110, and M2010 basic military rifles. Bruce certainly was motivated. Had he won the Shootout, he would have received a $1,000,000 prize. But, in the end, it wasn’t even close. Taya hit all the targets, while Bruce hit less than two-thirds. While the Tracking Point “precision guidance” system helped Taya aim and break the shot precisely, the Tracking Point system does not call the wind. The “operator” must still make a wind call, input wind speed and direction, and then the Tracking Point system, using internal ballistics tables, will adjust the aiming point accordingly in the scope’s viewfinder/reticle. Apparently the system works well enough to enable Taya to prevail over a very experienced shooter. 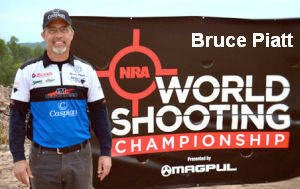 Bruce Piatt won the 2015 NRA World Shooting Championship (WSC). The WSC is a multi-discipline event involving pistols, rifles, and shotguns with targets out to 1K and beyond. Bruce competed against many top shooters including previous WSC winner SFC Daniel Horner of the USAMU. Over his shooting career, Piatt has also won World and National titles in USPSA/IPSC, Steel Challenge, Bianchi Cup, Sportsman’s Team Challenge, Masters Pistol Championship, and the SOF Tactical 3-Gun disciplines. Share the post "Taya Kyle Wins American Sniper Shootout"